"This novel features all the thrilling adventure readers will expect from the Marvel brand, backed up by the young-adult cred of #1 New York Times bestselling author Margaret Stohl. Uncover a new side of the Marvel Universe, accessible to old fans and new readers alike, as Stohl weaves an unforgettable story through the world of the Black Widow." This book sounds so awesome and I cannot wait! 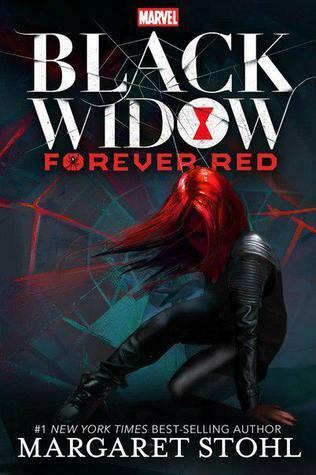 Black Widow: Forever Red will be released on October 13, 2015. Seeing this around a lot lately! Starting to get intrigued myself now! Oh my a Marvel Universe book! Sign me up! Wow this sounds amazing! I love Marvel so gotta check this one out. New to me but sounds like a great pick-- hope you get a chance to read it soon. You know, I still have not read a book by this author! I'm not really interested in this book but I can understand the excitement :) I hope you enjoy this book when you read it! A million times yes! I think I'm going to pre-order this one. Because I just need this in my life! And yes, oh my god! Great pick!! This sounds AWESOME. Cannot wait for this. Love Natasha. I can't wait for this! So glad to see Black Widow getting some attention for a change. And it's by Margaret Stohl!! Great pick! I first saw this one last week and boy did that cover catch my eye. I am looking forward to this one - it sounds like a great read! I'm definitely looking forward to this one! I hope you like it! This one looks great- and what a cover! I didn't know there was a Black Widow book coming until just recently, saw it on another blog- very excited for this one. Great pick! So. I stood in line at BEA and got it. It looks so good. And I love the tag line the author wrote inside..."girls are heroes"! Must make time for this one. Black Widow sounds great. Shame we have to wait until October. After being in the hospital with a 103 flu, I'm behind on this meme so hope you don't mind I'm commenting nearly a week late.